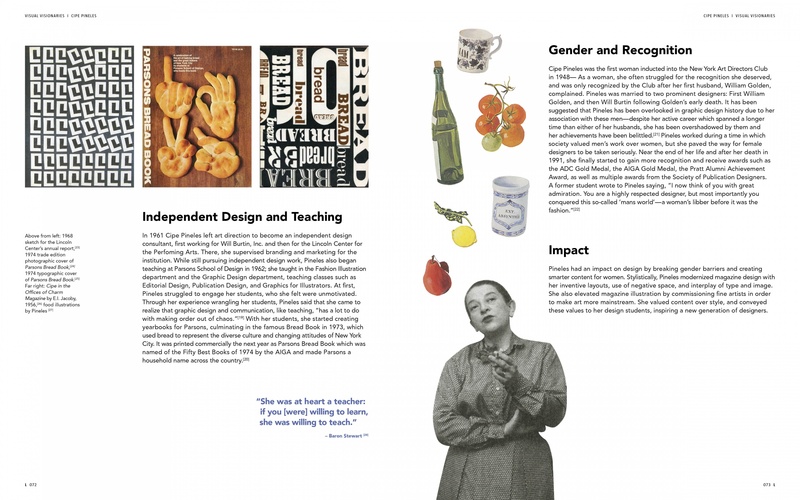 Each student in our class wrote a biography on a designer to be put in a single design history book. 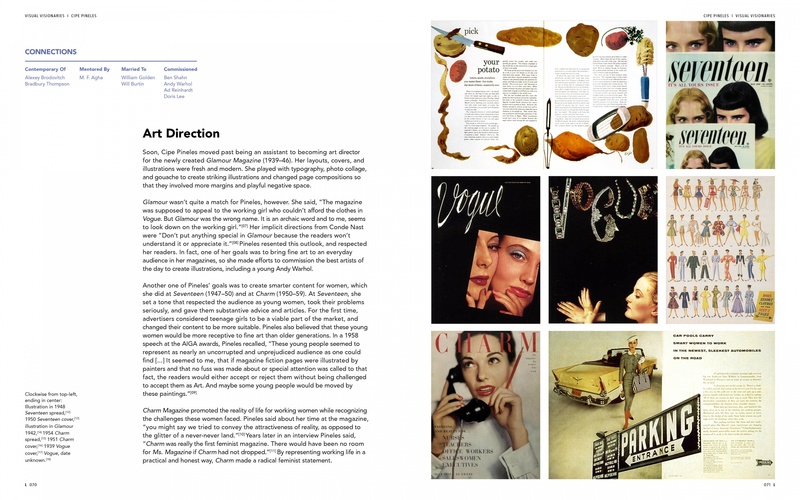 We each had three spreads to work with to convey our designers' style and achievements. Through this process, we learned how to work with grids, hierarchy, and graphic elements to convey our messages. 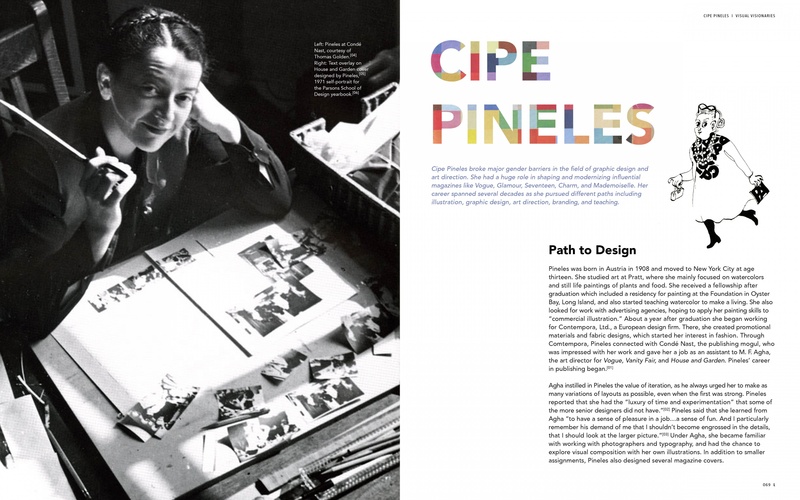 My designer was Cipe Pineles, and I worked to show the breadth of her career, her playful style, and the contributions she made as the first respected female designer.